All smooth and sealed hard top floors for hygienic cleaning results. Suitable for use in healthcare, nurseries, schools, universities, offices, public buildings, food industry, hospitality, pharmaceutical and cleanroom areas, etc. 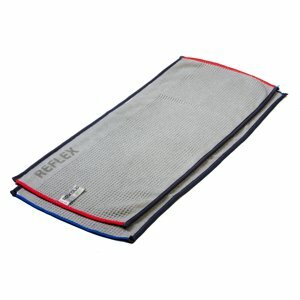 Used in conjunction with Rekola Reflex UMF, MF/UMF, Abrasive Soft, AquaPlus cloth. Special design and Swan labelled* for this purpose (*except AquaPlus). 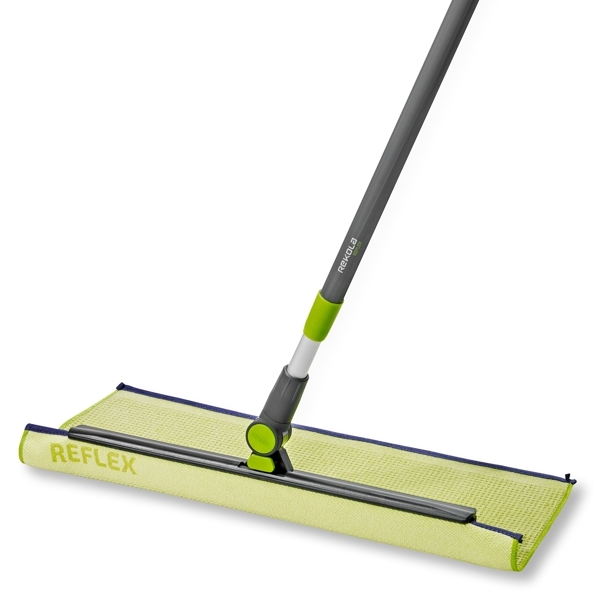 The preferred operating method for the Rekola Reflex squeegee is the S curve. 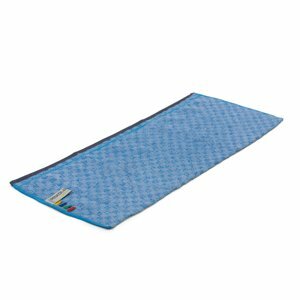 Place the squeegee blade on top of the cloth leaving the unused cloth surface behind the squeegee. Move the mop forward – this action will collect dirt in front of the squeegee and leave the cloth behind the squeegee clean. 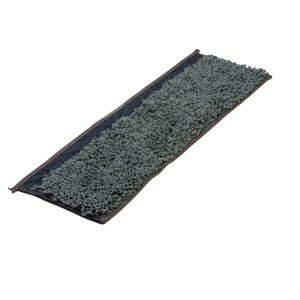 When the cleaning edge is filled with dirt, lift the squeegee 1-2 cm backwards to create a new edge. Repeat this action as necessary. When one side of the cloth has been fully utilized, lift the squeegee and rotate by 180 degrees. Place the squeegee on top of the cloths backside and continue mopping and moving the squeegee blade to create new edges. Right handed users* Hold the squeegee by the swivel in the left hand. Push the locking device backwards with the thumb to open. The lid can then be controlled using the left thumb. Hold a pre-prepared cloth by its corner using the thumb and index finger. Insert 5cm of cloth into the lid/frame channel and apply light pressure to the lid using the left thumb. Pull the cloth with the thumb and index finger along the cloth channel until there is 3cm cloth outside of the squeegee. Close the locking device with the right hand whilst holding the lid of the cloth channel with the left hand. The squeegee is now ready for use. Right handed users* Hold the squeegee with the left hand. Hold the squeegee over an AddOn EVA mop bag. Release the locking device with the left thumb and allow the cloth to drop from the squeegee frame into the mop bag. Even though the dirty cloth does not need to be touched when demounting we recommend gloves are worn during cleaning procedures to promote good hygiene and cleaning practice and standards. Left handed users* follow the same method but reversing left and right. The unique combination of sharp edged TPR blade and high-tech textile fibers allows cleaning without the need for adding pressure to the tool during cleaning. We recommend that the tool is cleaned after use and before being stored. If using Washing-Disinfector (Deko) ensure the TPR blade is facing upwards and not resting on the metal grille. 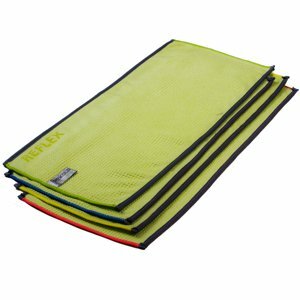 The Rekola Reflex squeegee is made purely of synthetic materials. It can be used in recycling programs; alternatively because of their high energy value and zero emissions other than water and CO2 they can be safely disposed of by use of controlled energy-supply programs. 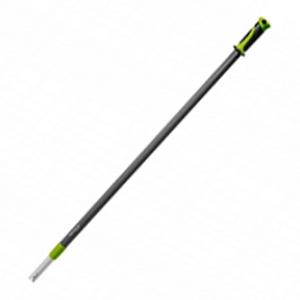 Without the cloth the tool can be used as a broom for collecting slush and larger particles. It can also be used for squeegeeing surfaces before and after. Also in conjunction with 13-0110013 swivel locker. For color coded areas a set of colored collars art. 13-0110012 is available.